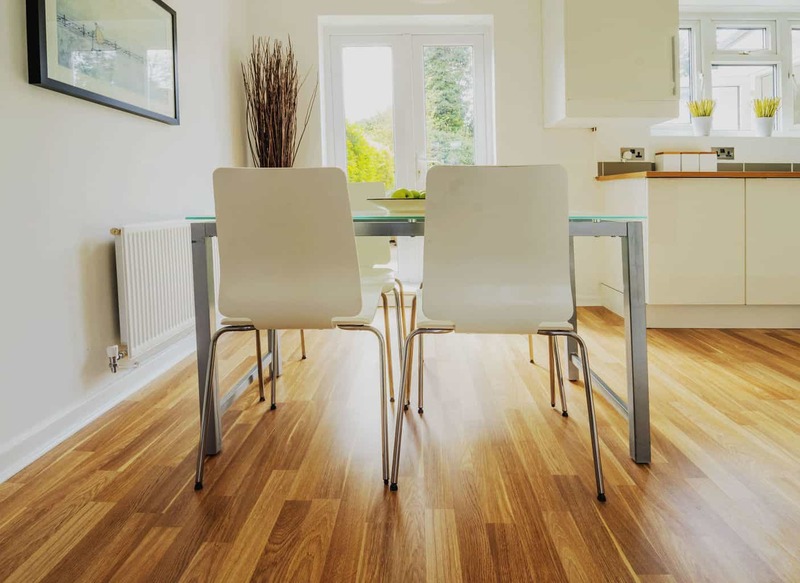 Should You Choose Laminate Flooring For Your Kitchen? The question of whether or not laminate flooring for kitchens is a good idea is something that many people ask. The truth is that laminate flooring is an the best option when you're trying to choose a kitchen flooring. It is much more durable towards high traffic and spills than hardwood, it looks almost identical to real hardwood, and it is a much cheaper option for those on a budget. 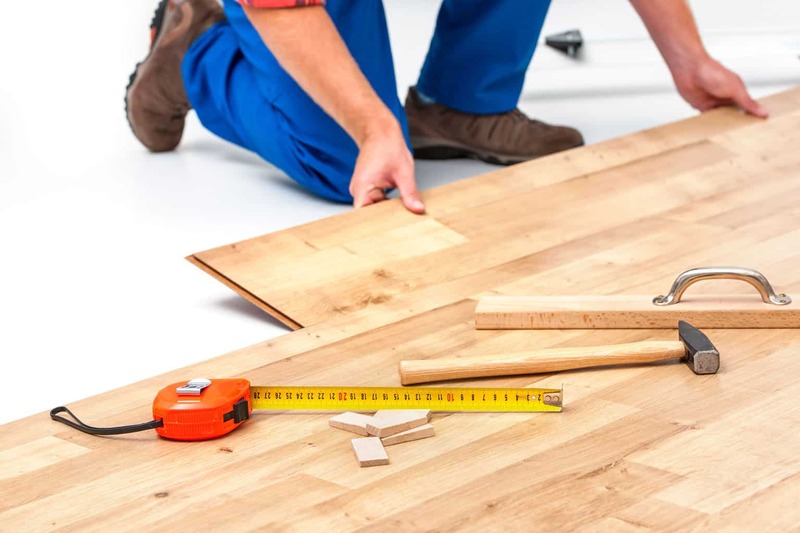 Though you can’t sand laminate like you could hardwood, many people have trouble telling the difference between laminate wood and real hardwood. Below I have discussed some of the characteristics of laminate and the benefits of laminate flooring for kitchens. Laminate may look like hardwood, but it is structured much differently. Laminate has four different layers of four different materials that give the appearance of a certain type of wood but only contains a small layer of it. Laminate contains a photo that is high-resolution, a wear layer made of melamine, a backing layer made of melamine, and a dense core board. Compared to other floors, laminate is incredibly durable. 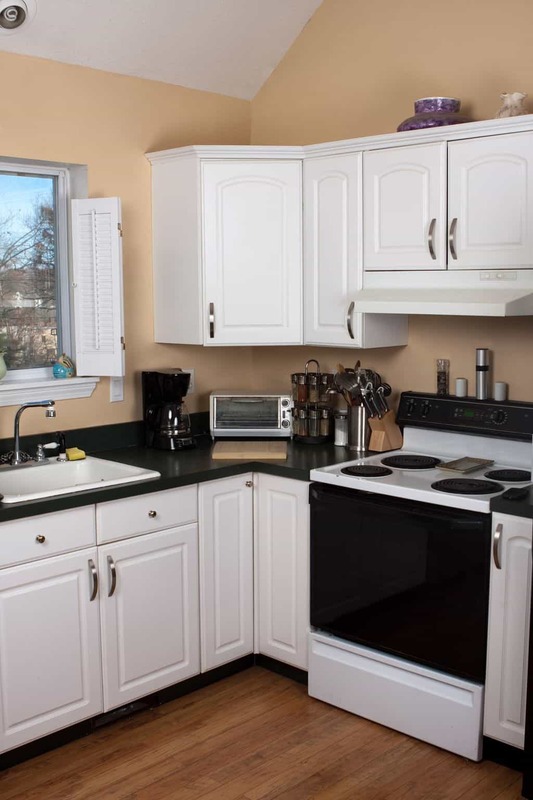 Kitchens are prone to spills, heavy foot traffic, and pets. Laminate is able to handle all of these situations without being damaged. Is it the most durable? Of course not. But for the significantly lower cost, the durability is pretty great. Even though it isn’t real hardwood, it is still recommended that you clean up any liquid spills immediately. Other regular floor maintenance applies. Sand or dirt can cause scratches on the surface of the floor, so clean it regularly. You should also be careful to watch that the boards are separating. The beauty of choosing laminate is that your options are limitless. If you can imagine it, you can have it. 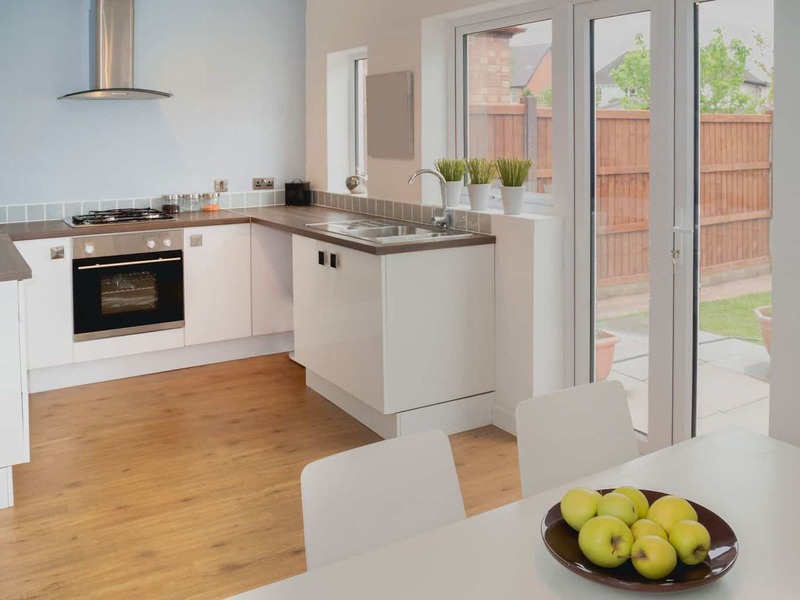 You want to be sure to choose a design that will complement the type of kitchen that you have. However, a nice benefit of laminate is that if you ever decide to replace it, it is known for being both easy and economical to replace. One of the best things about laminate is the low cost. When you’re choosing a floor, you want it to catch eyes. Being on a budget can make you feel as though you can’t choose something you really love. But rest assured, choosing laminate means that you can stay within your budget and choose a style that you love and will draw the eyes of those who visit. With laminate flooring you definitely get the best of both worlds. Another benefit is the fact that any water spills, if cleaned promptly, won’t cause any stains on your nice floor, making it last a lot longer. This is especially helpful since you are installing this in your kitchen where spills tend to happen. One of the best things about laminate is how easy it is to install in your home. It’s so easy that most people opt to do it themselves, making a fun project out of it. Most laminate floors can be installed with a click system where they essentially just snap into place. You can also install laminate on several different types of subfloors without any issue. Most are able to complete the installation project within an afternoon. If you want to add value in your home, professionals claim that having quality design in the kitchen is the best way to achieve that value. Laminate flooring is a very easy way to achieve this. It may be cheap to buy, but it won’t look cheap to anyone who enters your home. 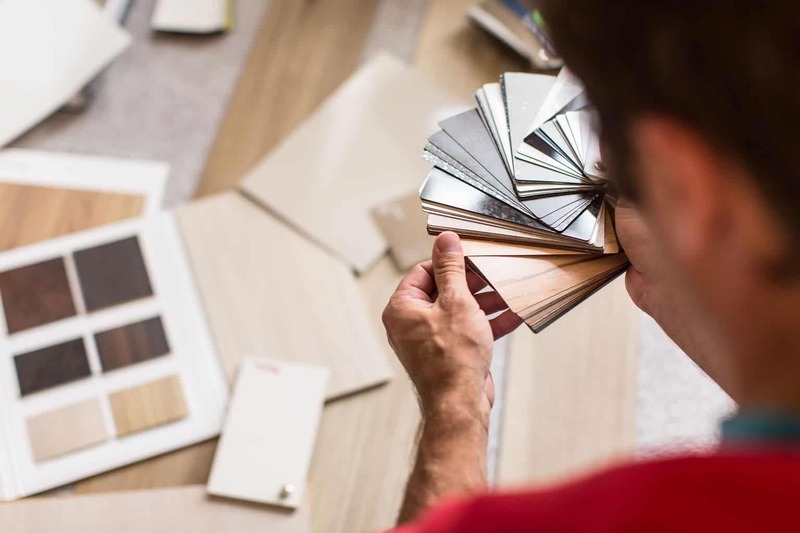 Whether you are keeping your home for years to come or thinking of selling it, laminate is a great way to give your home that little boost of value it might need. I hope this list helped with the decision process. 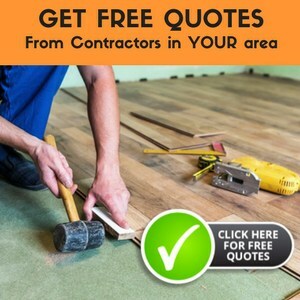 The reality is, whether you are on a budget or not, laminate flooring is a great option. Whether you decide to install it in your kitchen or any other room in your home, you can’t go wrong. The great cost, paired with the easy installation, easy care, and durability make it workable for any type of home.